Hannah helps Enterprise customers implement Mapbox tools and launch applications that include beautiful, custom location technology. Before joining Mapbox, Hannah co-founded Broad Street Maps, a social enterprise that designed and implemented geographic data collection and analysis projects for global health organizations. 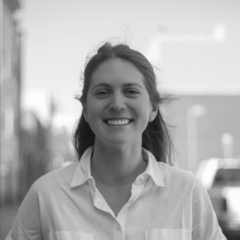 Hannah holds a bachelor’s degree in Geography and Global Health from Middlebury College.